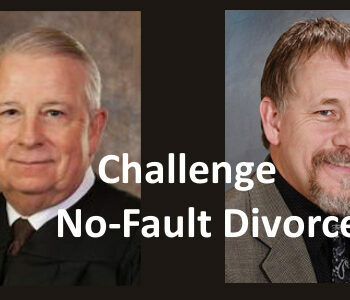 A constitutional challenge is being made in a Pennsylvania appellate court against unilateral no-fault divorce by Ryan Pankoe, a husband and father of two young sons (earlier Feb. 13 story). Ryan’s wife wants to end their marriage by having the state court force Ryan to accept a parenting schedule in which his children are deprived of everyday access to Dad. In January, Ryan submitted to the court a motion for summary judgment arguing that the Pennsylvania no-fault divorce statutes are unconstitutional and that his wife’s complaint should be denied. When courts abide by constitutional protections, no one can be dragged into a lawsuit unless he is being accused, by the plaintiff, of illegal behavior causing the plaintiff harm. In other words, to even start a case, a plaintiff has to accuse a defendant of a grievous behavior that is forbidden by law, and the defendant has the option of defending his innocence against the accusation. However, in no-fault divorce, the defendant is accused of nothing and the court grants divorce based on the plaintiff’s opinion that the marriage is irretrievably broken; a defendant has no defense available. Plaintiff-wife’s lawyer responded on February 15 to Ryan’s challenge. They argued that his motion was raised too late in the court’s schedule and was an illegal method to challenge the validity of the law. Ryan is asserting that the no-fault divorce statutes are void/invalid/null. Ryan replied to his wife’s lawyer within a week and he established the question involved, “Whether a motion for summary judgment that challenges subject-matter jurisdiction by challenging the constitutionality of a state statute on its face, can be denied because it was submitted after a non-judicial hearing but prior to judicial hearing.” Ryan’s answer is “No.” In Pennsylvania divorce courts, county employees with the job title of Master have “non-judicial hearings,” or meetings, with parties where a court reporter keeps a record of everything said. Thereafter, the Master writes a report for the case’s judge. One county’s website says, “The Master will hear economic claims raised in those actions, including equitable distribution, alimony and counsel fees” (source). I’m an eagle scout, a public servant as the ambulance chief and from family full of military service. …. I sought to be like my grandfather was a lieutenant colonel in the U.S. Army. As you might imagine, always enforcing the laws has been ingrained in me my entire life, while I also teach our children godly Christian values, like our son, who I’ve taught. I’ve been honored through my lifetime, as I’ve been recognized for my distinguished citizenship awards. As a scout leader, I’ve instilled these same values in not only our children but countless other families. I’ve not ever considered the possibility that a law may not serve a responsible public interest. So coming here is somewhat foreign and uncomfortable for me, but I do it because I love my wife, Laura. I’m led by God to do his will before all else and stand up for her, her sustained faith and most importantly, God’s word. 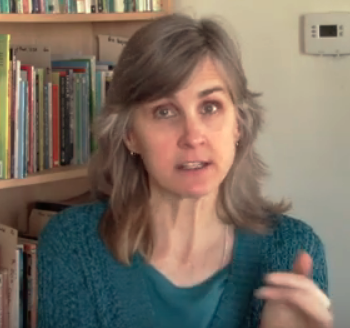 As I testified in the master’s hearing, there’s no compelling state interest served by enforcing the unilateral no fault divorce statute since it results in family breakdowns, children being court-ordered to go back and forth between two households, innocent fathers being unable to afford to have natural, every day contact with their children, record-breaking numbers of youths on anti-depressants and committing suicide, the largest cause of poverty for women being divorced, all of this and without a single accusation of wrongdoing and no finding of any legal breach. Judge Varricchio issued her opinion on March 25 about Ryan’s constitutional challenge. The Judge spent several pages discussing religious issues, though Ryan’s motion does not hinge on religious issues. It hinges on defendant’s right to due process. Furthermore, the Judge discussed the practice of Pennsylvania courts to grant divorces whenever a plaintiff feels like getting a divorce and refuses to reconcile. The Court’s opinion repeated some of the complaints that Ryan’s wife made against him, but Ryan never had a chance to defend himself from those accusations. Furthermore complaints by a plaintiff against a defendant’s behavior are irrelevant in PA divorce trials because the statute’s only basis for divorce is no-fault. The Judge’s opinion essentially said “this is how we do it” without addressing Ryan’s complaint that by doing this, the court is not exercising any judicial function. 1. Whether 23 Pa. C.S.A. § 3301 (d) alters the mode of proceeding from a judicial proceeding to a ministerial proceeding, in violation of due process. (Preferred Answer: YES). 3. Whether 23 Pa. C.S.A. § 3301 (d) is a special law under guise of general law in violation of Pennsylvania Article III, § 32. (Preferred Answer: YES). 4. Whether 23 Pa. C.S.A. § 3301 (d) eliminates the right of defense, in violation of due process. (Preferred Answer: YES). 6. Whether the State has correctly undertaken strict judicial scrutiny of 23 Pa. C.S.A. § 3301 (d) as the correct standard of review. (Preferred Answer: NO). 9. Whether the Trial Court’s decision was made in violation of the Establishment Clause. (Preferred Answer: YES). While Ryan waits for the appeal court to assign a case number and due date for his brief, he is now embroiled in a custody battle. If Ryan does not agree, on paper, to split his sons between two households on some parenting schedule, the county Court will force a schedule on the Penkoe boys. The Pennsylvania courts manage divorce with property settlements as one court order, and thereafter, separately establish a parenting schedule and custody determination. I’m in disbelief how unfair Ryan is being treated. It’s like I read in Stephen Baskerville book, Taken Into Custody The War Against Fathers, Marriage, and the Family, Family Court Judges seem to make their judgements without honoring our Constitutional Rights and majority of their judgements are for women even when men should have equality for their children. The divorce system is very unfair and unconstitutional mainly to men at expense of our children. I’m talking from experience also. Thank you Ryan and Bia and Mary’s Advocates. God Bless You. "This is how we do it" no judicial function! One more judge that follows the crowd denying the the existence of the this defendants response. "They argued that his motion was raised too late in the court’s schedule and was an illegal method to challenge the validity of the law." Where is the correct time frame written? Also How can it be illegal to respond truthfully to the complaint of divorce? Coercion is that illegal? The court is intimidating this Dad with choices he does not want, expecting the Dad to relinquish his duty as a parent . What about joint custody ? He is tolerating the Mom's behaviour . They are his biological Children as well as by marriage of which he is upholding.